Our vision is to bring even more people into our loving community so we can assist all in need. The building next door to POTS will provide us the space to do this. However, it requires a complete demolition and rebuild to effectively enhance and expand our existing service offerings to help our clients to achieve long-term stability. We have the space next door to achieve this vision, but additional support is needed. Classrooms for our Next-Step Services and Workforce Development Program. Additional office and private meeting spaces for expanding our Comprehensive Case Management services. Much-needed additional space for the other critical services POTS provides to clients. This addition to our existing building adds 7,000 square feet of space for new programs and administration. The three-story addition integrates with our current building with a single entrance for security. Floor 1 has a job training classroom space with the capacity to seat 32 students, and will feature AV equipment for digital presentations. The classroom is adjoined to a lobby with a coffee station to encourage informal conversations. 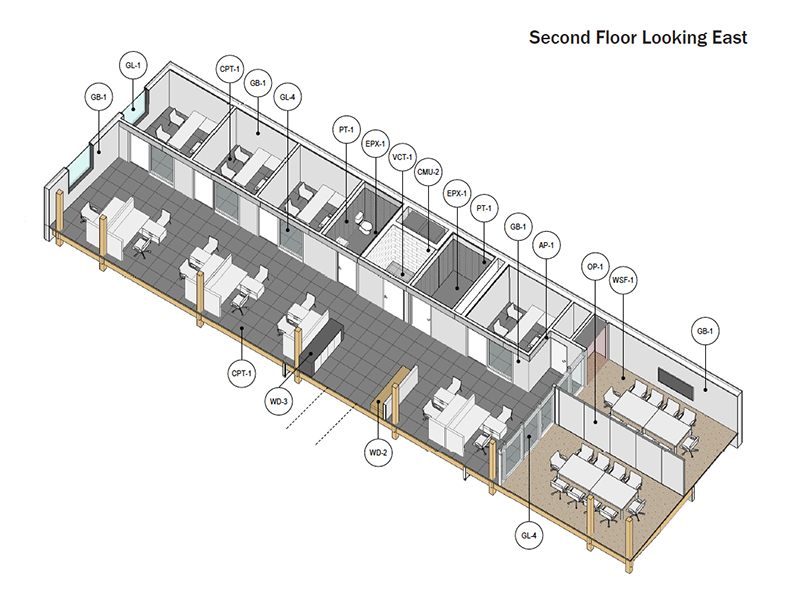 Floor 2 will have private and open offices to improve interactions between case workers and clients as well as a large, divisible meeting room for 20 people. 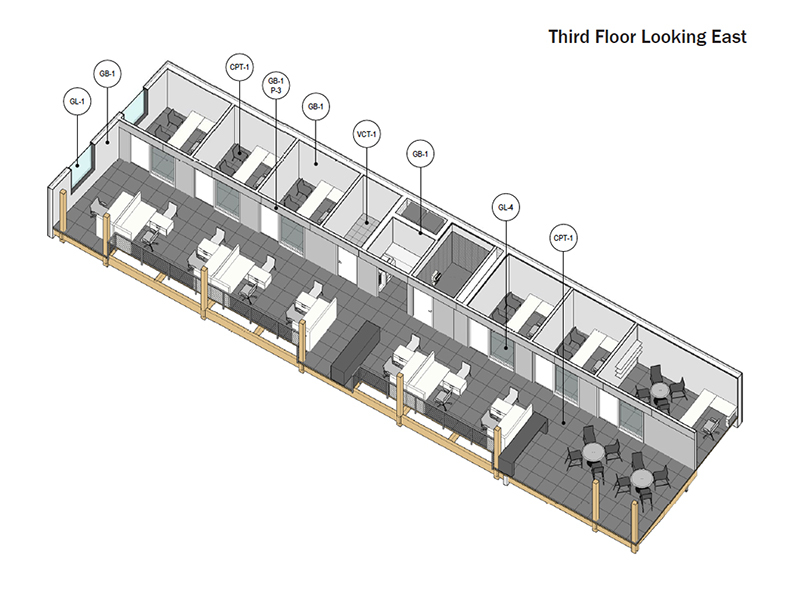 Floor 3 has staff offices and a meeting area that can be repurposed for administrative or client use.